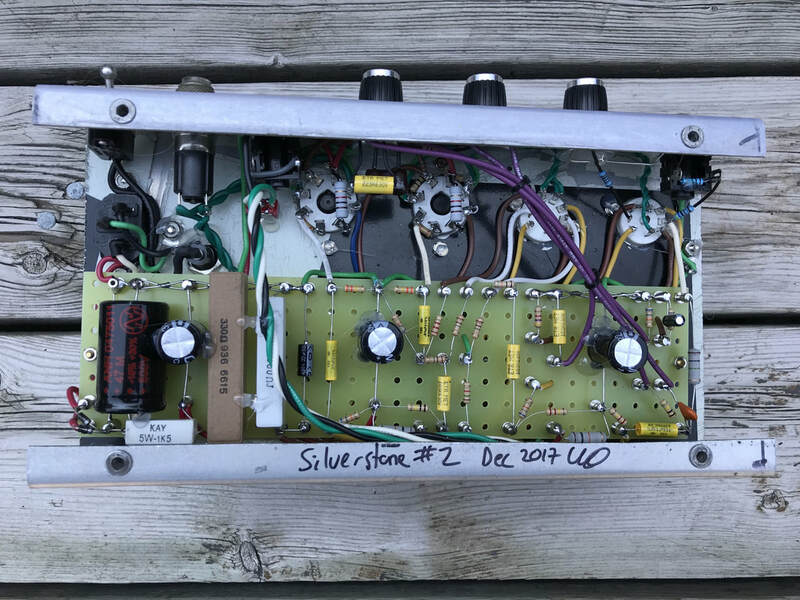 This is my take on a Silvertone 1485 with a little KO magic. Puts out a respectable 15 watts that transitions into overdrive very smoothly due to the lack of negative feedback. 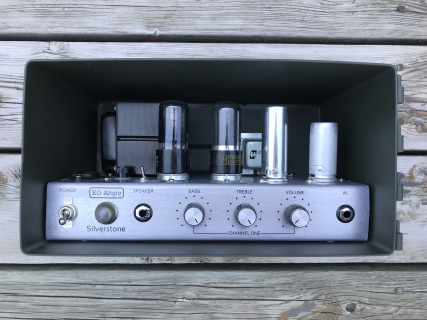 Super simple Treble, Bass, Volume controls. Tube lineup is a pair of 6v6s, a 6cg7 phase inverter and a 12ax7 preamp. Sturdy tag board construction, orange drop and vintage ceramic caps in key places, and beefed up power supply. 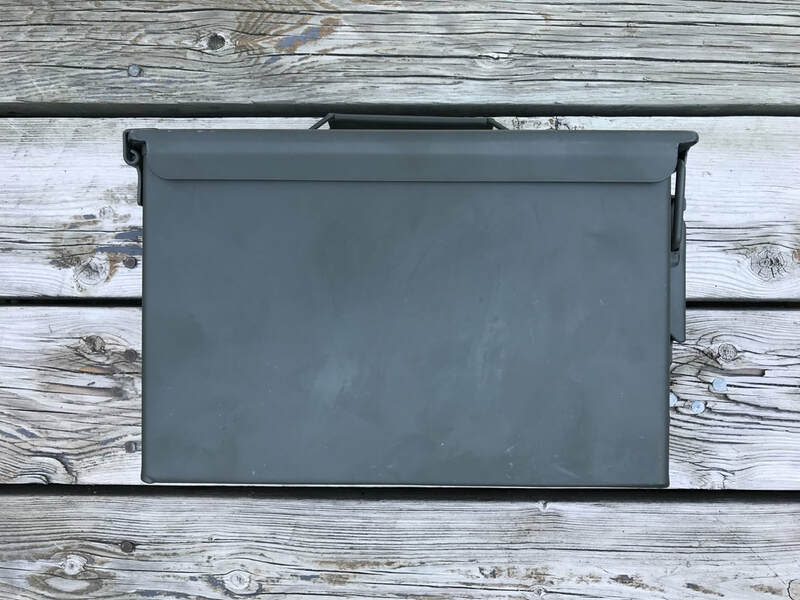 All crammed into a super thick aluminum chassis mounted in a vintage ammo can. 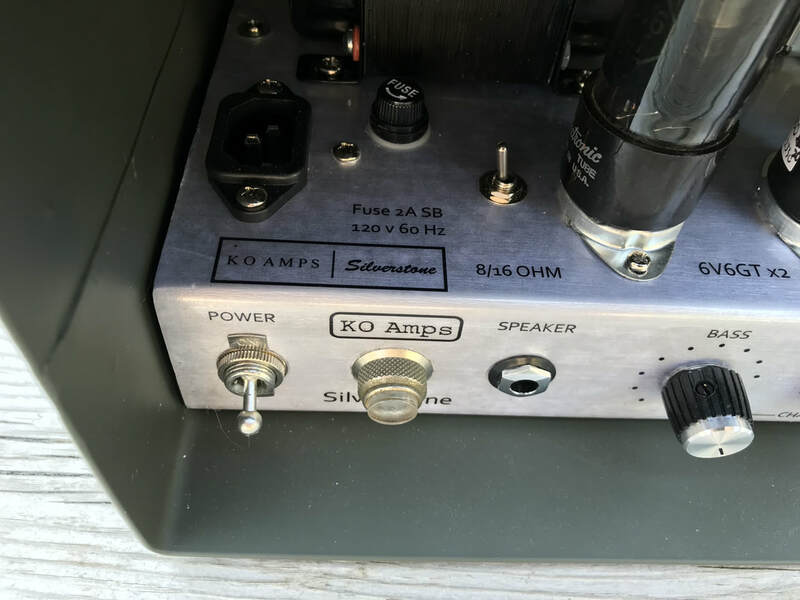 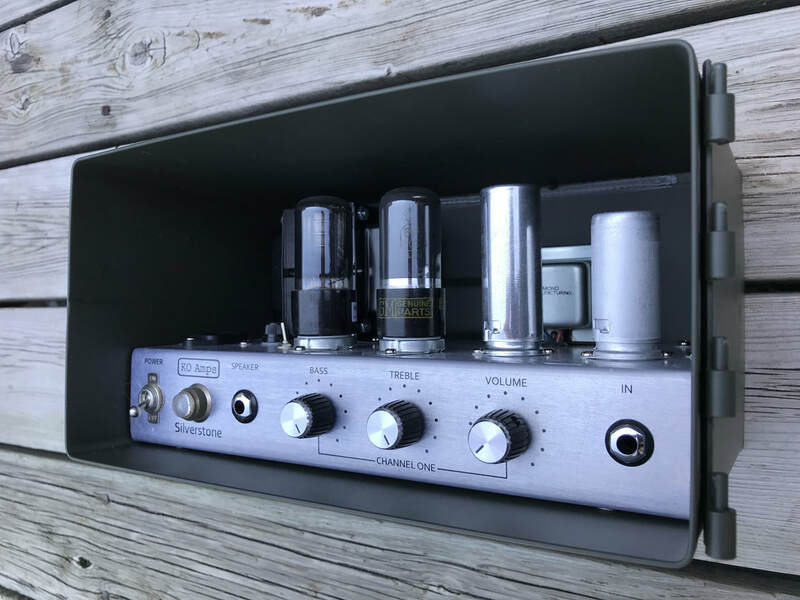 Comes with a set of vintage tubes as well as a power cord. 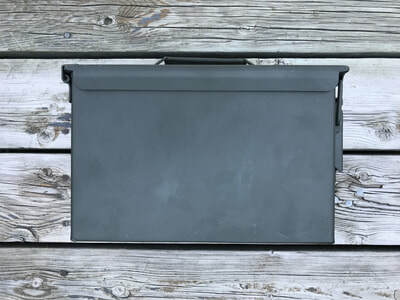 Latest Silverstone has all turret board construction with tubular metalized polyester caps throughout. 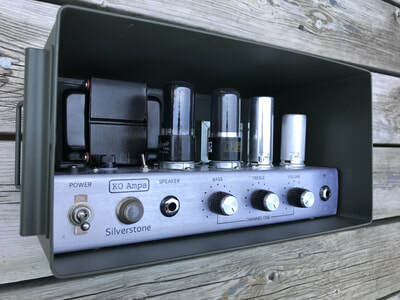 Comes with a pair of matched vintage 6v6 tubes, a vintage 6cg7 tube and a new JJ 12ax7. Will include a spare 6cg7 tube with purchase.